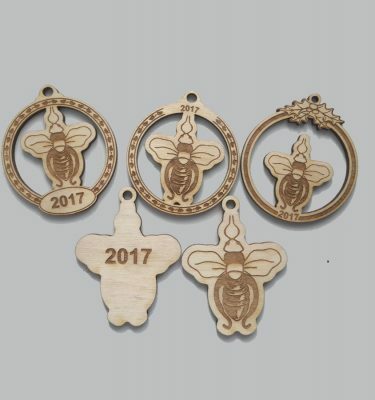 Available starting early/mid February! 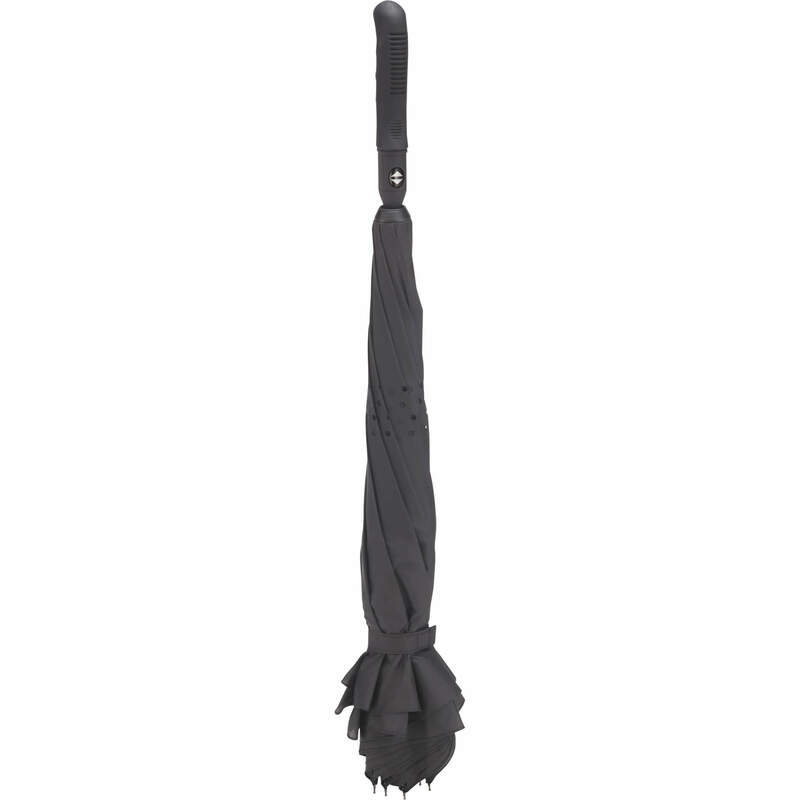 This revolutionary umbrella features a trendy inverted style, large 42″ arc, and convenient auto-open and auto-close with the push of a button! 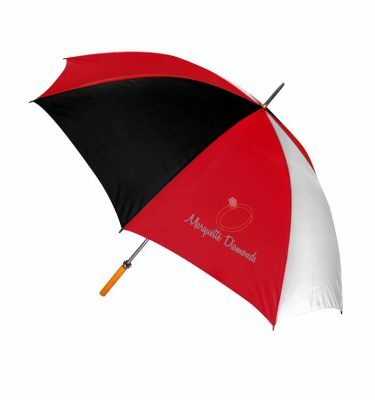 Your price includes a 1-color imprint on the umbrella canopy. The first full-size Inversion umbrella to offer both auto open and auto close features! 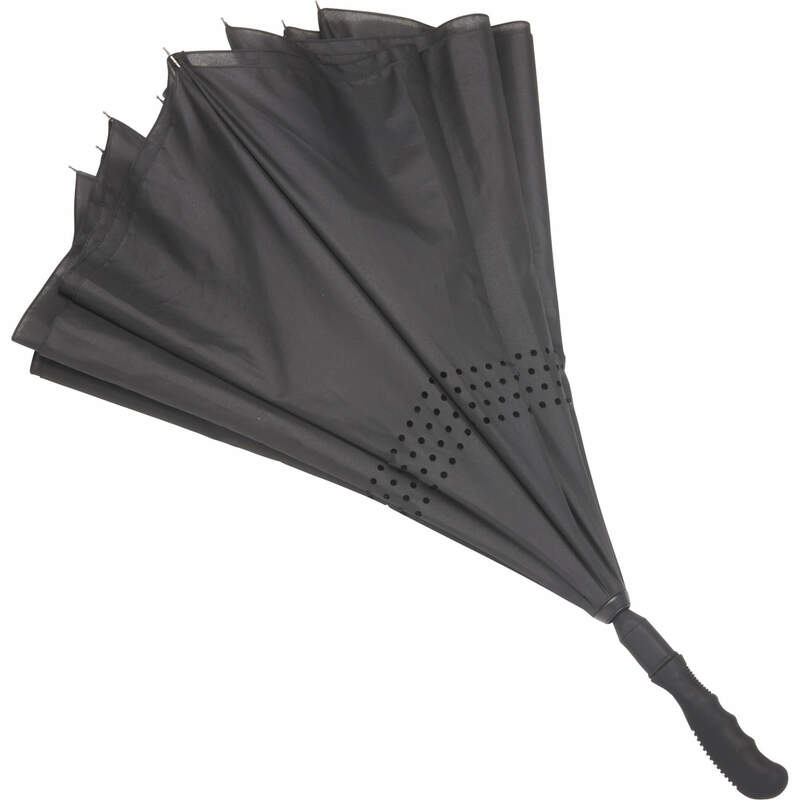 48″ canopy, auto open/auto close, rubberized ferrule that allows for even easier closure, premium ergonomic rubberized handle. Dual layer pongee canopy. 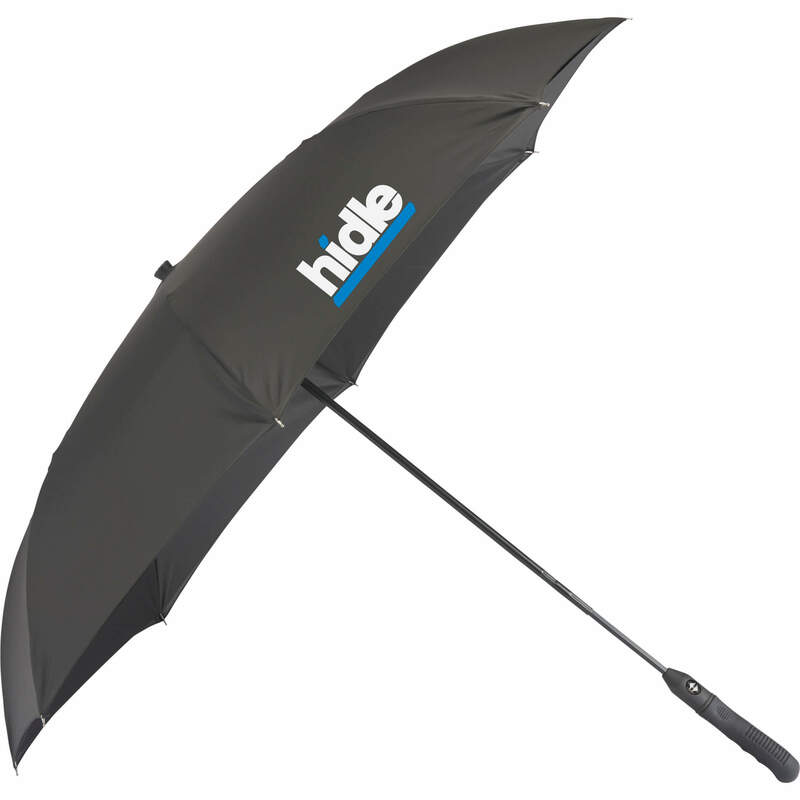 The construction on this umbrella makes it easy to quickly close and get into vehicles or buildings, with a wide arc to protect your customers from the elements while displaying your brand. 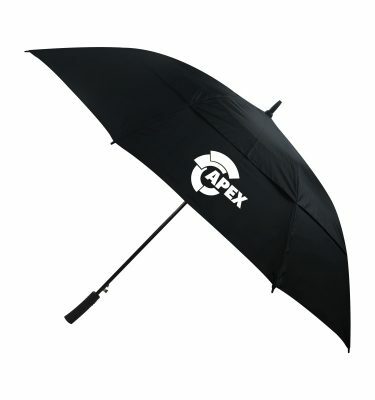 Your price includes a 1-color imprint on the canopy of the umbrella. 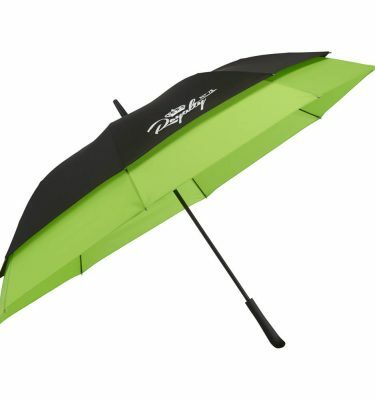 Contact the Identity Works team for multi-color imprint options and pricing!